Determination of the species from which the meat is originated is known as meat speciation. When the meat is removed from the carcass is not easy to identify visually the difference in the species. As the meat is processed more then it will become more unrecognizable from the original species, this is the stage where contamination and adulteration occurs. Increased food fraud and adulteration of meat and demand for the certified meat are key driving forces of Meat Speciation Analysis market. According to the database of economically motivated adulteration (EMA) incidents, reports that over 7.3% of food adulteration cases are falling under the meat and its products category. 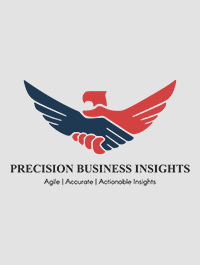 Furthermore, increase in R&D testing methods, the rapid growth of urbanization, the rise in domestic income, growing consumption of meat, increase in population pool is expected to witness tremendous growth of meat speciation analysis market. On the other hand dearth of sophisticated infrastructure, limited awareness in underdeveloped countries is expected to dampen the meat speciation analysis market. The Meat Speciation Analysis Market is classified on the basis of species, technology, form and geographical regions. Meat speciation will be performed for processed, cooked and raw meat products. Claims which are made by the product labels are examined by the meat speciation analyzing systems to identify the authenticity of the meat and its products, so as to ensure the safety of the consumers. Rising scandals of meat adulteration and food fraud in the meat industry and food industry are expected to surge demand for meat analysis. Investments in R&D, new product developments, inclination towards innovative technologies, clinical trials etc. are major strategies adopted by players in order to gain leverage in meat speciation analysis market. For instance, in 2016, International Laboratory Services Ltd was acquired by Eurofins in order to strengthen its product portfolio and to expand its presence in the UK. In 2014, Scientists of Institute of food research on Norwich Research Park came entered into a deal with Oxford instruments for the development of cheap and fast alternative for DNA testing to distinguish horsemeat from beef. Geographically Meat Speciation Analysis Market is segmented as Latin America, Europe, Asia- Pacific, North America, and The Middle East & Africa. Meat Speciation Analysis Market is led by Europe owing to the stringent regulations regarding foods and their safety, high awareness among the consumers, increase in the trade of meat. North America accounts for a high share in meat speciation market due to rise in consumption of meat and its products, high share in the packaged food industry. Asia Pacific region is anticipated to account for predominant revenue share in the meat speciation analysis market due to stable GDP in the region, growing awareness about health among the consumers, demand for the meat products, improving safety standards of food etc. In 2017 April, Neogen developed a detection test to identify raw pork in meat and environmental samples.